Update: consumer Google+ is shutting down April 2, 2019. This will not affect your YouTube channel. Note: as of November 2015, as long as you use your Google account name (aboutme.google.com) your channel is already disconnected from Google+. Learn more in the YouTube Help Center. Note: as of January 9, 2014 this process will NOT work for newly created YouTube channels connected to a Google+ Profile or channels that have been connected to Google+ for longer than 14 days. If you don't want to use your real name on YouTube, you can ask YouTube support to disconnect your channel from your Google+ Profile and connect it to an existing Google+ Page instead. Note: this is a slightly edited version of a post I originally made in the Google+ help forum in July 2013. Do you not want to use your real name on YouTube? Unlink your YouTube channel from your Google+ Profile. 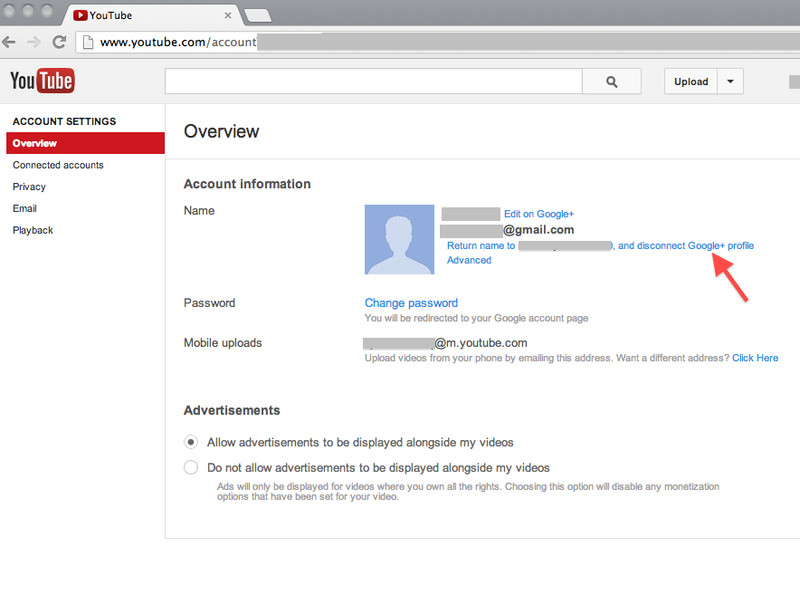 If you have created your YouTube channel using a Google+ Profile identity you should be able to unlink your YouTube channel from Google+ and either use YouTube username or switch to using a Google+ Page identity. Note that if you created your YouTube channel with a Google+ Page (by choosing the "business or other name" option), your YouTube channel cannot be unlinked from Google+. Do NOT try change the name of your Google+ Profile to a brand, business or organization. Violating the Google+ Profile name policy can cause your Google+ Profile - and linked YouTube channel - to be suspended. Note: as of November 2014 it is no longer possible to add a custom URL this way. 2. 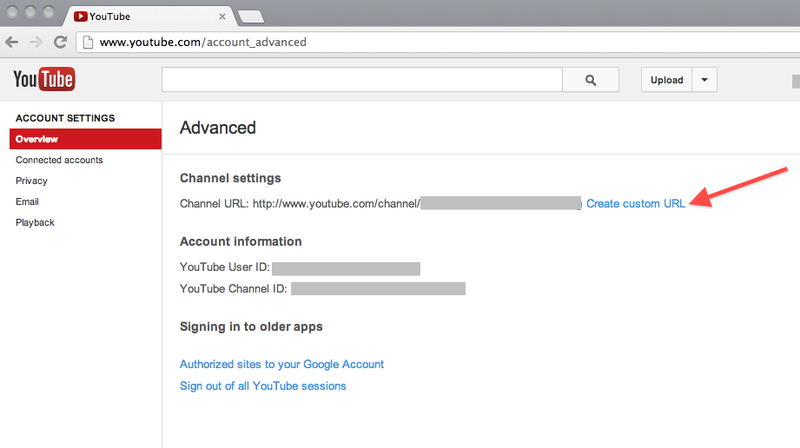 Go to your account settings (www.youtube.com/account) and choose the option to unlink your channel from Google+. Each of these steps is shown in detail below. 1. The first step is to add a custom URL to your YouTube channel if you have not done so already. Note: as of November 2014 it is no longer possible to add a custom URL to your channel this way. Learn more about the new Custom URL option, which adds a custom URL to both your channel and the connected Google+ Page or Profile. Keep in mind that the custom URL for your YouTube channel cannot be changed, so choose carefully! If your YouTube channel had a YouTube username before you linked your channel to Google+, that is your channel's custom URL. 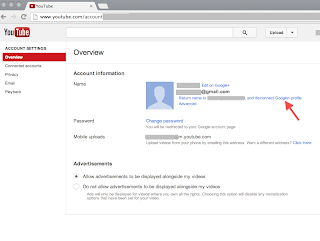 Click: "Return name to [custom URL/YouTube username], and disconnect Google+ profile"
When you have unlinked your YouTube channel from Google+, it will be using the custom URL you set as your YouTube channel username. You can stop at this point, but YouTube will to keep suggesting you link your YouTube channel to Google+ again. 3. If you do not wish to use Google+ and you are 100% positive that your YouTube channel is not linked to a Google+ Profile or Google+ Page, you can delete your Google+ account at this step. Do NOT delete Google+ if you are not certain whether your YouTube channel is unlinked or not! Alternatively, if you would like to link your YouTube channel to Google+, but don't want to use your personal Google+ Profile name, you can link you channel to a Google+ Page instead. This REALLY HELPED!! BUT there's one little problem... on #2 of adding custom url plus disconnecting from G+, I didn't know before I could disconnect, so I did the url "TheSnivyChannel" and continued, but i didn't disconnect like I said, and now my Youtube name is still "snivy parkourist" (with the space in the middle). So its been since 2013 when I did the custom url, and now I don't know what to do! SO PLZ HELP ME AND TELL ME HOW TO DISCONNECT NOW!! PLZ REPLY BACK!!! 1. 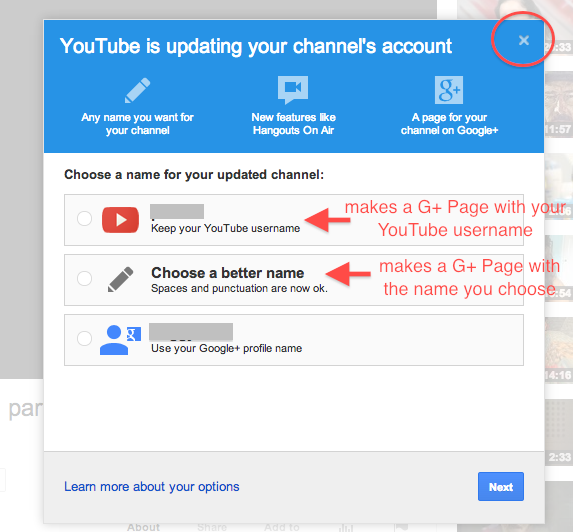 Create a Google+ Page for your YouTube channel - that can be called whatever you like. Create the Page at plus.google.com/dashboard. I'm sorry my post wasn't up to date - I'm updating it right now! There have been multiple reports that users cannot disconnect their channel from YouTube, even though it has been connected less than 14 days. It's been reported to YouTube but I don't know when or if there will be a fix. NONE of the options you specfied are available to me!!! I HAVE custom URLs for BOTH profile AND YouTube, I AM verified, and I DO use my Google account name but it DID NOT automatically disconnect and there is NO OPTION to disconnect it ANYWHERE!!! ALL THE SETTING that the screenshots on this page ARE NOT AVAILABLE TO ME!!!! HOW DO I FIX THIS????????????? Justinrpg: as I noted at the top of the article, if your channel uses your Google account name (aboutme.google.com name) your channel ID already disconnected from Google+. You can delete your Google+ profile. Although if you do that you will no longer get messages under the Bell. If your channel uses a business or other name and a Google+ Page, there isn't any way to disconnect from Google+, other than moving your channel to your main Google account. 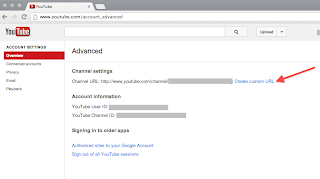 When you do that, your channel name will change to your Google account name.